This is the debut title for SILKY’S PLUS WASABI. Makoto was in his third year at university when his grandfather passed away and transferred his property entirely to him. He was ready to start living alone, but when he moved in, he was greeted by the zashikiwarashi Iyo and the oni Kikyou. They were only visible to him since he had inherited a special power which allowed him to see spirits. He had also inherited the ‘duty’ of the Kagami family, which had been passed on from generation to generation. With the support of the oni, he must use his power to appease the wandering souls in the town and help them rest at peace. 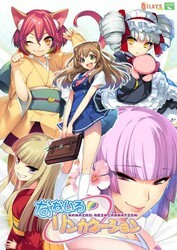 The story is written by Kazuki Fumi, who won the scenario award in the 2013 Moe Game Awards for GunKnight Girl. 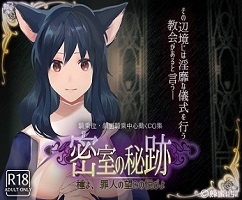 The artists from that game, Sumeragi Kohaku, is also on board for this title.